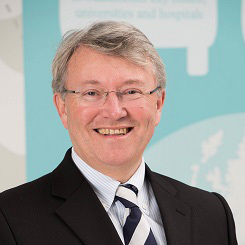 Executive Director of the AMR Centre, Dr Peter Jackson is an experienced UK-based serial entrepreneur in the life sciences sector. Over the past ten years, he has created six new companies, targeting novel therapeutics across infection, oncology and immunology, as well as in agrochemicals and life sciences services. Dr Jackson has over 25 years’ experience in the sector, previously holding senior executive roles as commercial director then VP of Avecia’s Pharmaceutical Products business unit, following senior commercial and R&D positions at predecessor companies Zeneca and ICI.